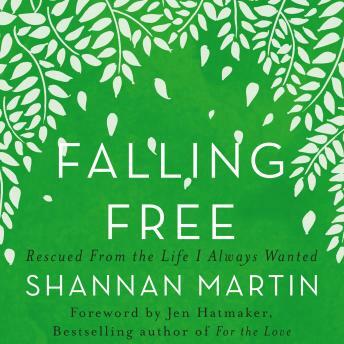 Shannan Martin had the perfect life: a cute farmhouse on six rambling acres, a loving husband, three adorable kids, money, friends, a close-knit church—a safe, happy existence. But when the bottom dropped out through a series of shocking changes and ordinary inconveniences, the Martins followed God’s call to something radically different: a small house on the other side of the urban tracks, a shoestring income, a challenged public school, and the harshness of a county jail (where her husband is now chaplain). And yet the family’s plunge from “safety” was the best thing that could have happened to them. Falling Free charts their pilgrimage from the self-focused wisdom of the world to the topsy-turvy life of God’s more being found in less. Martin’s practical, sweetly subversive book invites us to rethink assumptions about faith and the good life, push past insecurity and fear, and look beyond comfortable, middle-class Christianity toward a deeper, richer, and ultimately more fulfilling life.